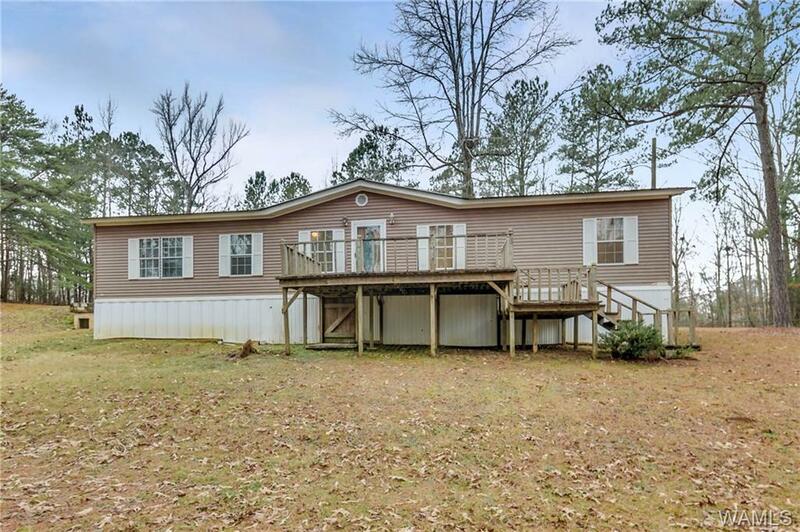 Located in a quiet area in Duncanville, situated on a serene and peaceful 2 acre lot this well maintained double wide mobile home just might suit your fancy! This home offers lots of living space, a large master suite, standard size bedrooms, and the much desired split bedroom plan. 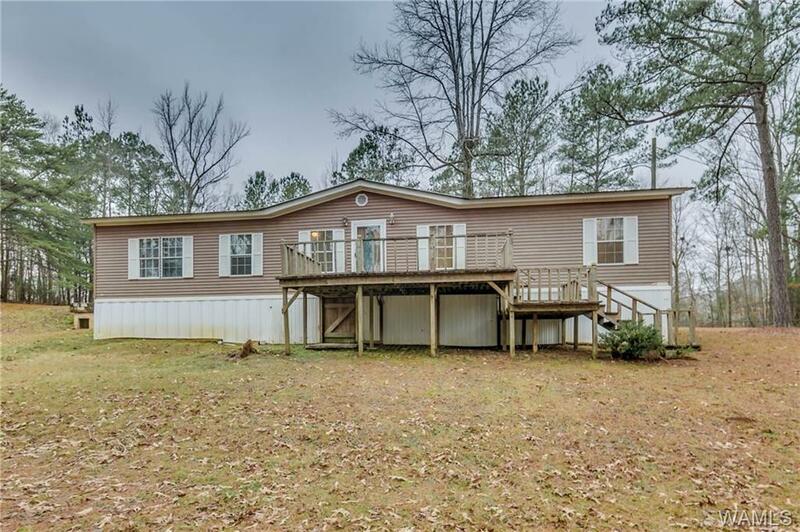 The amazing outdoor living space is even better and offers a large front deck, covered back porch, and a workshop with electricity. 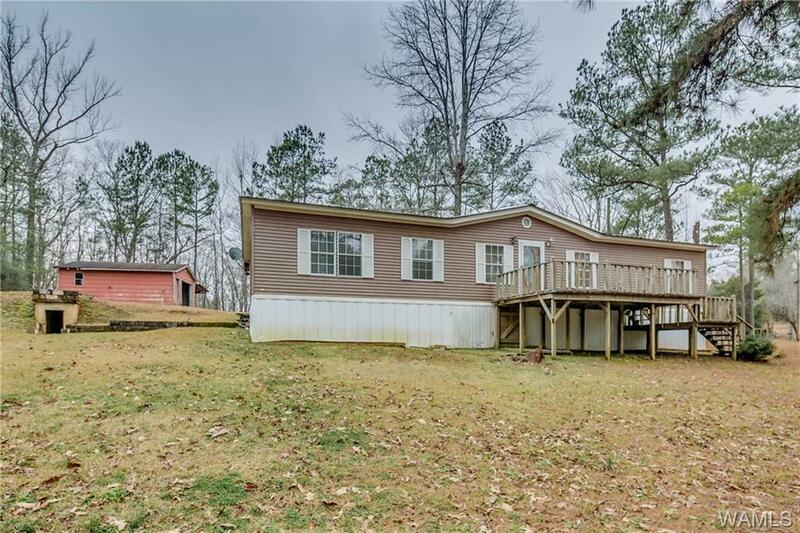 This home is perfectly priced and great for private country living with the convenience of being only a few miles from shopping and restaurants in Tuscaloosa! 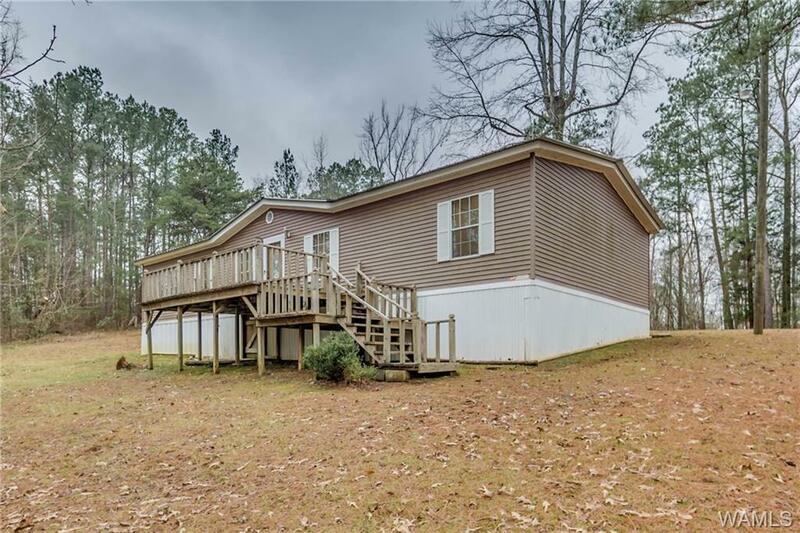 Listing provided courtesy of Brienna Bayles of Keller Williams Realty Tuscaloosa.